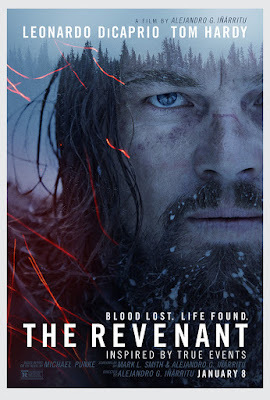 Oscar Winner Alejandro G. Innaratu's 19th century story of survival has received a lot of press and a lot of hype, including an extremely bizarre controversy that spread over the Internet, when it was falsely reported that Leonardo Dicaprio's character is raped by a bear on screen (the studio quickly issued a statement to clarify this ridiculous assertion.). It may be the second most talked about film of the holiday movie season, surpassed only by Star Wars: The Force Awakens. So, with all of this talk, the big questions are simple: is is really as violent as you've heard? And is it good enough to justify that violence? The answers are: "yes and no," and "almost." It's every bit as brutal and shocking as all that, but it's not the callous, bloodthirsty, devoid of any moral compass, Tarantino style revenge story that you might be expecting. What is being unflinchingly portrayed here is the brutality of the conflict between white frontiersmen exploring and sometimes pillaging what is, to them, a new land, and the Native Americans who call it home. Even more so, it's a harsh portrayal of man's desperate determination in surviving against the elements of nature. The often very graphic depictions are essential to the story, and most of it doesn't feel as gratuitous as it easily could have, but the question "Did I really need to see that happening?" is going to vary wildly from viewer to viewer. Hugh Glass (DiCaprio) is a frontiersman and trapper guiding a quasi-military group of hunters and fur trappers through the Louisiana purchase territory in 1823. His half Pawnee son, Hawk (Forrest Goodluck) is with him on the journey, and Glass keeps him close, especially after the group is ambushed by Arikara indians, leaving half of the party dead. Captain Henry (Gleeson) the leader, knows he they are being pursued, and that tensions among the men are high. Things are further complicated when Glass is viciously attacked by a bear trying to protect her cubs and is nearly mauled to death. Glass is cared for as best as Henry can facilitate, but dragging a nearly dead man through the mountains and snow is significantly slowing down the party, who need to get back to the safety of the Fort before the Arikara find them. One of the men, Fitzgerald (Hardy) pleads a case for putting Glass out of his misery for his sake and theirs, but the Captain can't bring himself to do it. He offers a sizable cash reward anyone who will stay with Glass and care for him until he passes, and perform a proper burial when the time comes. When Hawk and another young man, Bridger (Will Coulter) offer to forfeit their shares to whoever will stay with them, Fitzgerald surprisingly volunteers on the grounds that he needs to make up for his losses on the expedition. Of course, things only get worse from there, and a series of events leads up to Glass being left alone to die, as by all standards of sense he should. But Glass simply refuses to give up. 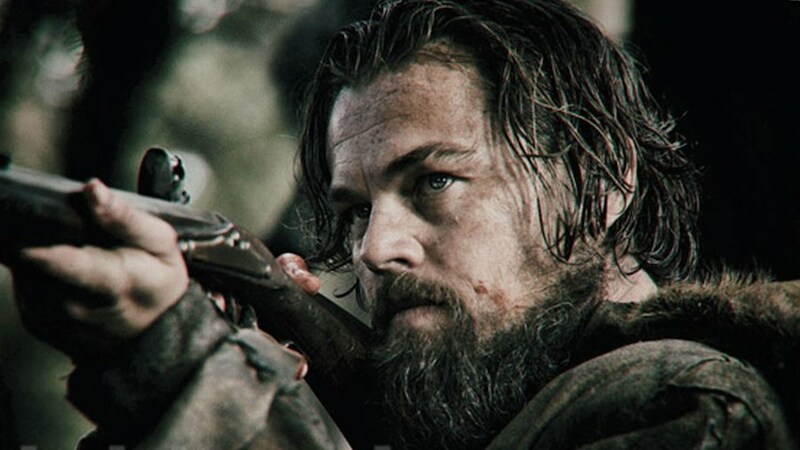 The story of Hugh Glass has been told and retold for over a century, and the dramatic embellishments added over the years are considered by historians to trace back to Glass himself. So on the one hand, once you read up on this and discover that most real life accounts are not as horrific and violent as the film portrays, that Glass's son Hawk is a creature of fiction, and that the final confrontation with Fitzgerald (whose real name was William Fitzpatrick) ended very differently, you start to question just how much of the unflinching brutality should be praised and how much of it should be criticized. But 20 years after Braveheart cleaned up at the Oscars, this is hardly anything new to Hollywood. This is an extremely compelling and vivid retelling of the Glass story, and history and legend are both timeless and timely, being told through the mouth of the storytellers of the day. Innaritu is a remarkable storyteller, and his seeming control of every detail his camera captures is really unsurpassed by anyone. The "how did they do that?" factor to this movie is nothing short of staggering. But if you're hoping to find a redemptive, inspiring element, it's not to be found. Instead, Innaritu juxtaposes the idea of what we will do to stay alive vs. what, if anything, we are ultimately living for, and the sad reality that finding the answer to the latter question can be more brutal than the fight to survive. As we see Glass's dead son live in flashbacks and dreams, as well as his interactions with and fierce protection of young Hawk, we discover that Glass and the bear are kindred spirits, and that realization is more than a bit haunting. The movie does tend to meander a bit at times, and runs a bit too long. It's important not to rush Glass's self-recovery and perilous journey, but there are moments when it does start to drag a bit. In a particular, an extended sequence when he is happened upon by a lone Pawnee who helps nurse him back to health started to make me feel like I was watching an attempted reboot of The Lone Ranger, and probably could have been cut entirely. But it's hard to fault a movie too much for aiming so high, and this is as skilled a piece of filmmaking as any in 2015, or in recent memory. The cast delivers all around, though there seems to be a deliberate (and wise) choice not to truly let us into anyone's head. Each character is an enigma, and we are never entirely sure what is going inside, or who they were before they ended up on this hellish predicament. DiCaprio, the perennial Oscar hopeful, is obviously the one getting all of the attention (and he should be getting some for his pained, brooding performance that actually becomes more human and low key the further Glass has to descend into an animalistic world), but the most compelling characterizations actually come from Hardy, Gleeson and especially young Poulter, whose combination of wide eyed fear, staunch bravery, and ultimately self loathing and sorrow at his own weakness, make his wonderfully human portrayal of the legendary frontiersman Jim Bridger arguably the best part of the film. Hardy is everything we've come to expect him to be: burly, stoic and imposing, with a hard edge that masks the vulnerability inside, and as unlikable as Fitzgerald is, you can't completely dismiss his point of view. Gleeson has a rare ability to fit perfectly into any film, and adds an extremely welcome presence. 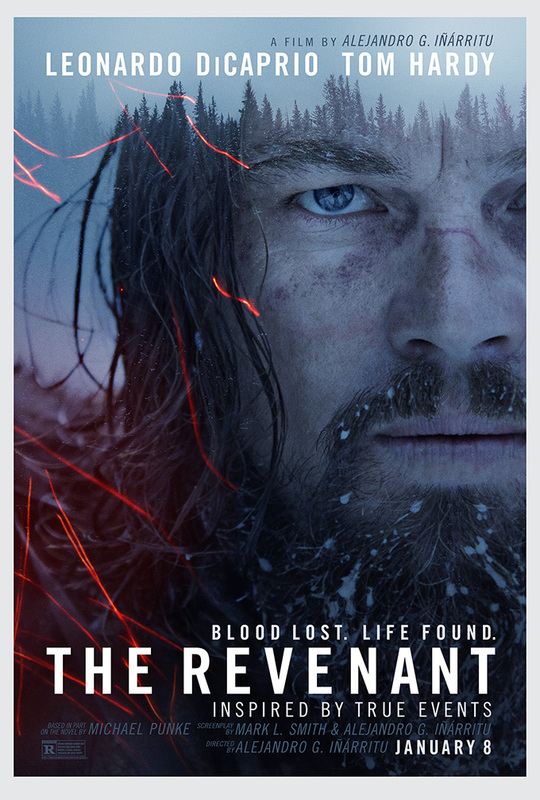 Emmanuel Lubezki's captivating cinematography is arguably outstanding, and will likely guide him to his third Oscar in a row (and in the process put something of a damper on the current movement toward going back to shooting on film, as his stunning work here on digital catches bold and atmospheric images that burn into the mind's eye.). On the whole, the movie is a triumph, if not for all tastes. Innaritu tends to make "mood movies" that will either really work for you or really not, depending on how you go into them, and this is hardly the exception to that. But if you're up for it, there is a lot to admire here.